This is our review of Total VPN based on real VPN testing results. In this review, we will cover Total VPN’s speed, reliability, price, free trial, software, customer service etc. In addition to this Total VPN review, we have also reviewed a number of other VPN services. If you are looking for a reliable VPN services to be used in China, Please also read our list of Best China VPNs . Please Note: Total VPN doesn’t work in China at this time. Please Note: this Total VPN review is based on our testing from China. The results might be different if you use Total VPN from other countries (because China is a country known for blocking VPN services). If you are NOT planning to use Total VPN in China, we suggest you instead read this Total VPN review based on testing results from the U.S.
Offer a free account (no credit card needed). Total VPN is a relatively new VPN service. It provides common VPN features and has servers in a number of world-wide locations. 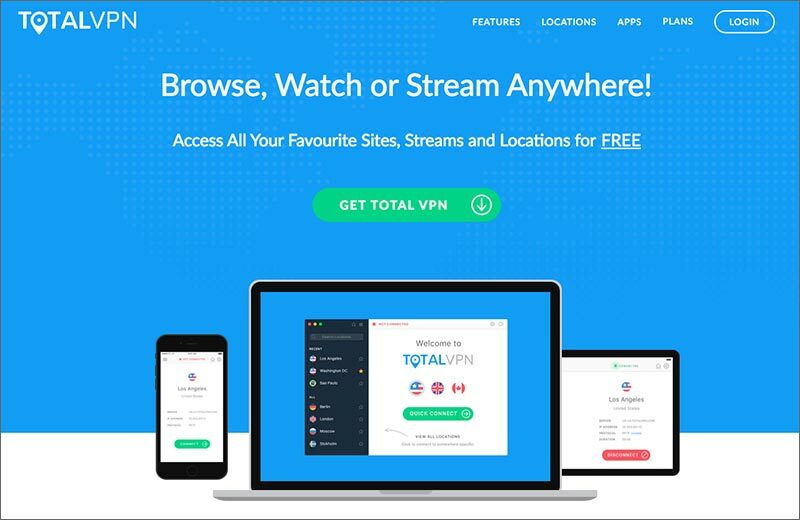 Unlike most other VPN providers who offer free trails or money-back guarantee in addition to their paid accounts, Total VPN offers a totally free account without an expiration date and doesn’t require a credit card to sign up. However, this free account has some restrictions, which can be removed by upgrading to Total VPN’s paid account. 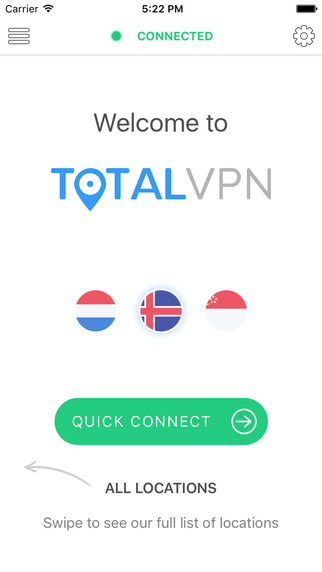 Total VPN’s website and software are in English. Basic English skills are needed to sign up and use their VPN service. Unfortunately, Total VPN’s website recently got blocked in China. Based on our recent test results, we couldn’t connect to Total VPN’s servers from China either. 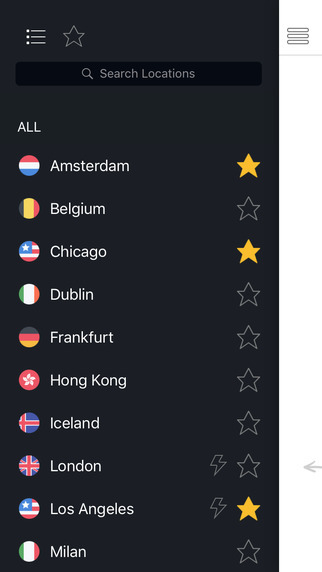 Total VPN has servers in 30+ locations. For U.S., it has servers in New York, Chicago, Los Angeles, Miami, Atlanta, Seattle and San Jose. For Asia, Total VPN owns servers in Hong Kong, Tokyo, Mumbai, Singapore and Tel Aviv. Note that with Total VPN’s free account, users can only access 3 servers: Singapore, Iceland and Amsterdam. Paid VPN users can access all 30+ servers. Total VPN supports common VPN protocols such as PPTP, L2TP/IPSec, OpenVPN, SSTP and IkeV2. Both free users and paid users have access to these protocols. 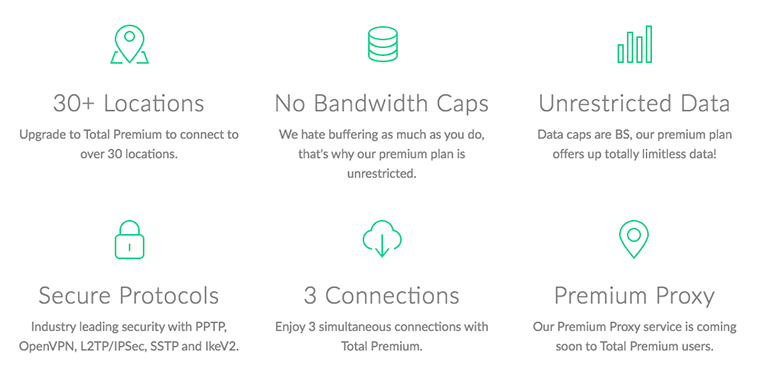 Total VPN’s paid users can enjoy unrestricted bandwidth and unrestricted data transfer. However, its free account limits users’ bandwidth to 2 Mbits per second. As a result, data transfer is also limited for free VPN accounts. 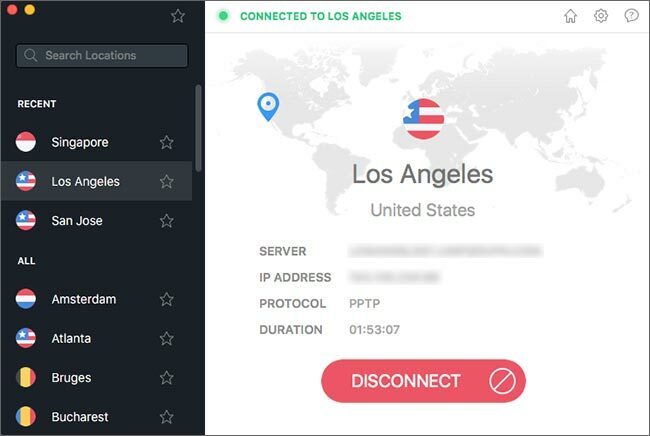 For simultaneous connections (also called multi-logins), Total VPN’s free account can only connect to 1 device at the same time. On the other hand, Total VPN’s paid account allows 3 simultaneous connections. Total VPN’s users can connect from computers, tablets and smartphones using their software or apps, which support Windows, Mac, IOS and Android etc. Total VPN doesn’t allow torrenting and P2P file sharing. Total VPN offers a free account for users to test our their service. This free account can be signed up with an email address and doesn’t require a credit card. Also, there’s no expiration date for it. However, as mentioned above, Total VPN’s free account has limited server location, limited bandwidth and limited data transfer. It can only be used on 1 device at a time. Users can sign up Total VPN’s free account to try out their service. 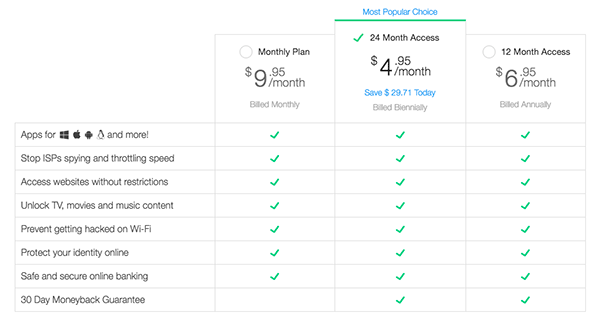 To remove the restrictions, users can upgrade to Total VPN’s Total Premium account, which starts at $4.95 per month. Total VPN offers software/apps for many platforms, including Windows, Mac, IOS and Android etc. In addition, installation instructions are provided for setting up Total VPN without installing their software. Manual set up can also be done on Xbox, PlayStation, Apple TV, Amazon Fire, Windows phones and BlackBerry. We downloaded Total VPN’s desktop client for Mac OS. The installation process was straight-forward and the software interface is clean and intuitive. With the desktop software, you can connect/disconnect to VPN and also change server locations and switch connection methods. For connection protocols, Total VPN’s Mac client supports OpenVPN, PPTP and Cisco IPSec. Total VPN offers free mobile apps for iOS and Android. Users can search for “Total VPN” in Apple App Store or Google Play Store to download and install Total VPN’s apps. Update: Unfortunately Total VPN got blocked in China recently. We can no longer use Total VPN from China at this moment. The following results were from speed tests done before Total VPN was blocked in China. Then we used Total VPN’s Mac desktop client to connect to their Los Angels server (we have a paid VPN account). We got a download speed of 25.08Mb/s, which is a very good speed. The SpeedTest.net testing result is shown below. When you visit Total VPN’s website, you can click on a link (at the bottom of the page) and go to their Support Center, where you can contact Total VPN’s customer support via a 24/7 live chat or using their ticketing system. We tried their live chat and were immediately connected to a customer support representative. We asked a few questions regarding Total VPN’s features and were satisfied with the answers. Total VPN is a relatively new VPN providers. Total VPN offers a free account that can be signed up without a credit card. Although there’re restrictions for this free account, it can be used without an expiration date, which is a good way to test out their service. To remove the restrictions, users need to upgrade to their paid account. If you need a free VPN account for occasional or temporary use, Total VPN’s free account can be a good choice. Unfortunately Total VPN got blocked in China very recently. If you are looking for a VPN for China, you can try other VPNs that are still working in China. However, if you are NOT planning to use Total VPN from China, it’s still a good VPN choice and we suggest you read this Total VPN review based on testings from other countries. If you are looking for a reliable VPN services to be used in China, Please make sure to read our list of Top VPNs for China Internet Users . This entry was posted in VPN Reviews and tagged review, totalvpn. Bookmark the permalink.